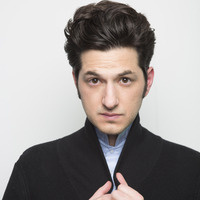 Join UT's Campus Events Board for an evening with actor, comedian and writer Ben Schwartz! Ben starred opposite Don Cheadle & Kristen Bell in the Showtime comedy series House of Lies and starred alongside Amy Poehler, Chris Pratt and Aziz Ansari as the iconic Jean Ralphio on Parks and Recreation. Ben stars in the upcoming Netflix feature Happy Anniversary, written and directed by Jared Stern. He also recently wrapped The Untitled Duplass/Lynn Shelton Project alongside Jay Duplass; An Actor Prepares alongside Jeremy Irons; and The Blue Iguana opposite Sam Rockwell. Recent feature credits include The Intervention written and directed by Clea DuVall; The Walk directed by Robert Zemeckis and This Is Where I Leave You directed by Shawn Levy. An Emmy-winning writer, Ben was named as one of Variety’s “2014 Ten Screenwriters to Watch” and has feature comedies in development at Paramount, Good Universe and Universal. It was great hearing from Ben Schwartz. The location was perfect. Everyone seemed comfortable enough, and Ben got really excited about the organ and even was able to play it before leaving. I really enjoyed Ben himself. He was very funny and I thought he gave great advice for students wanting to go into the entertainment field. However, the CEB hosts were bland and the questions asked made me cringe much more than made me laugh. Also, CEB did not crowd control very well and, thus, made the event last 1.5 hours longer than planned. They could have prevented this issue by limiting the number of people asking Ben questions. After a while, this became redundant and made many people leave early. Great entertainer, poor execution on CEB's part. Try again next time.